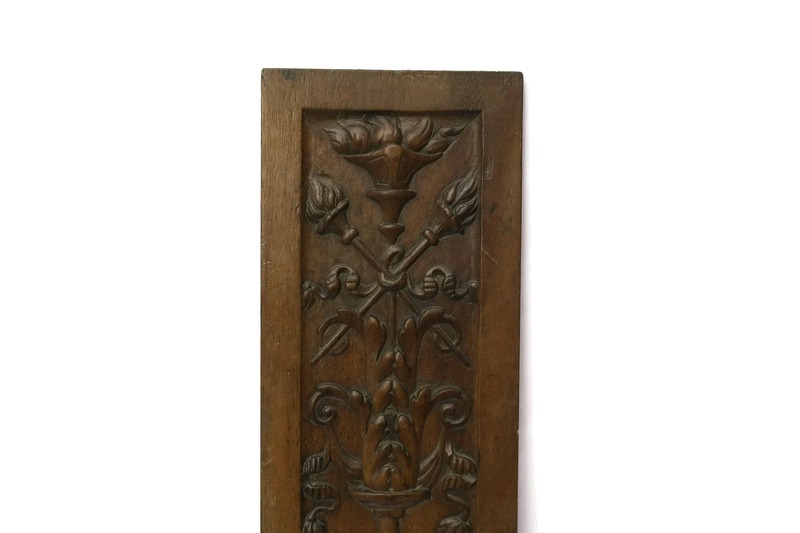 Carved Wood Panel. 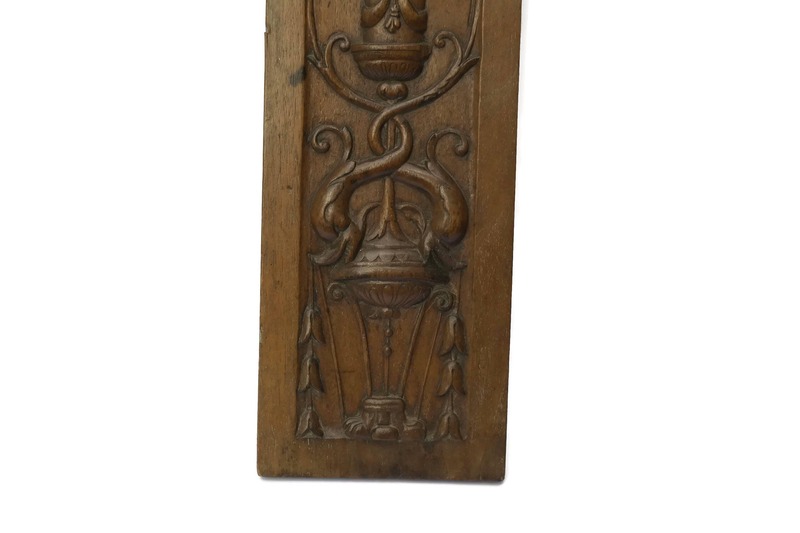 French Antique Wall Hanging with Flaming Torches and Dolphins. 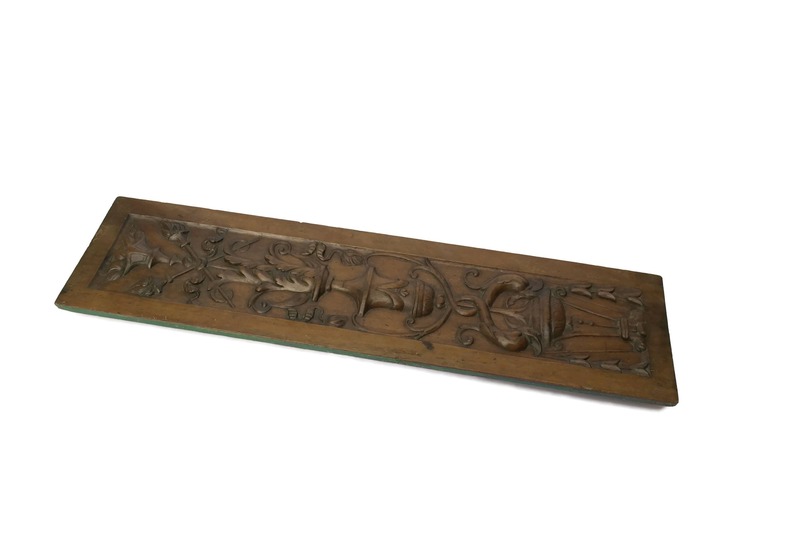 19th Century French Chateau Decor. 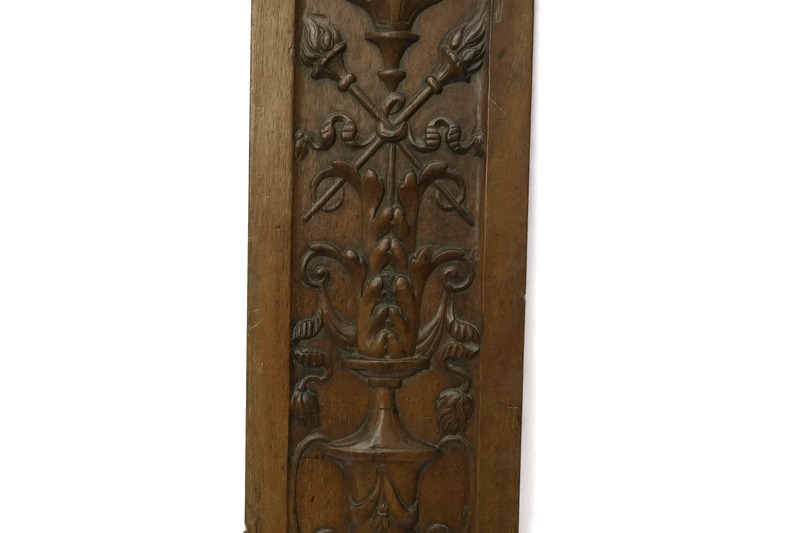 A magnificent French hand carved wood panel dating to the early 19th Century. 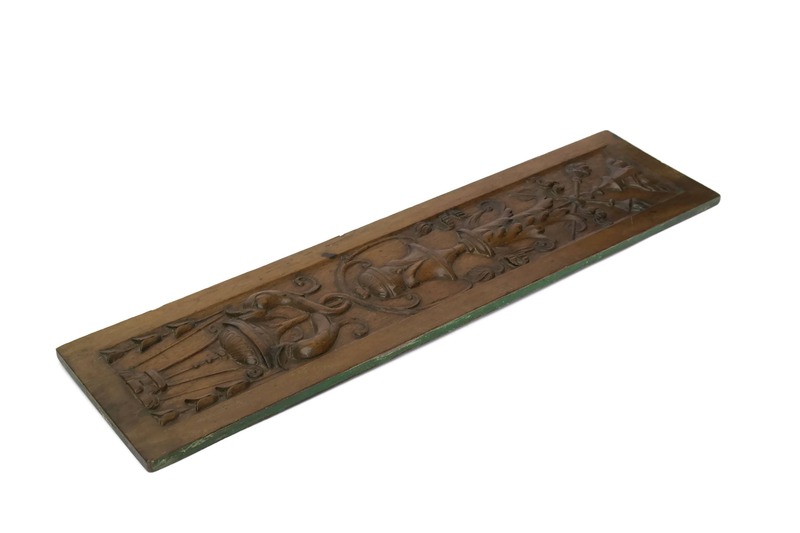 Originally, it decorated a wall in a reception room and it has been exquisitely carved from a single wooden board. 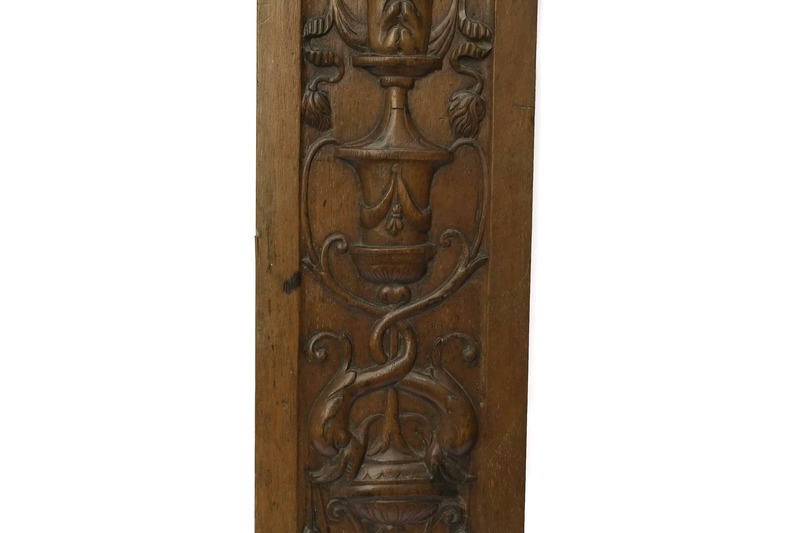 It features a classic French design with flaming torches, urns and elegant ribbons. 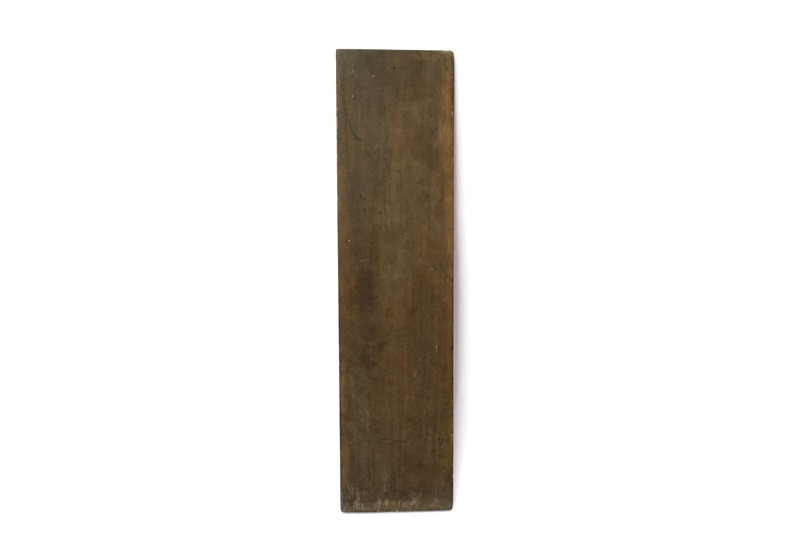 25 1/2" Tall x 6 1/2" Wide (65 cm x 16,5 cm). 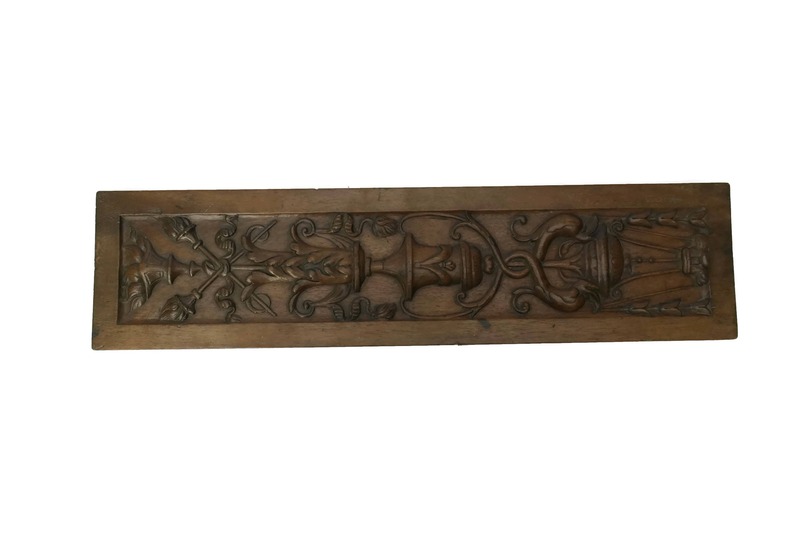 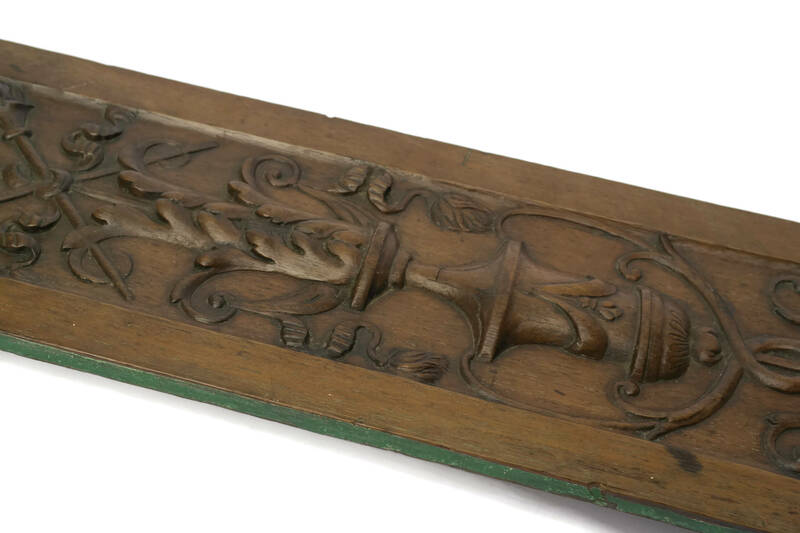 The wooden panel is in very good antique condition with a rich patina to the wood.